This production line can used for production of peanut butter,sesame tahini, almond butter. High automation, flow processing flow, easy operation, different production capacity. 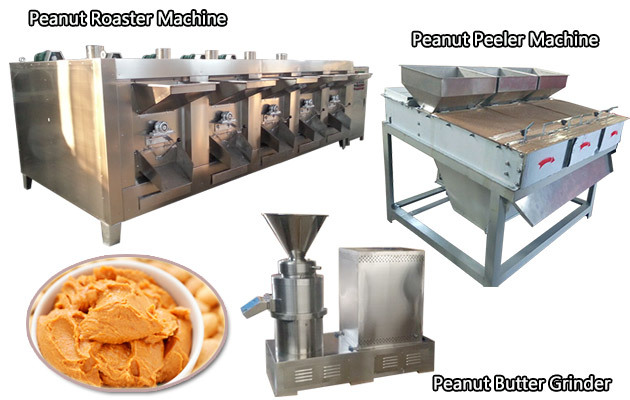 This peanut butter processing equipment includes peanut roasting oven, roasted peanuts peeling machine, picking belt, lifting machine, peanut butter coarse grinding, mixing tank, mixer, homogenizer, peanut butter fine grinding machine, vacuum tank, cooling machine, filling machine, etc. 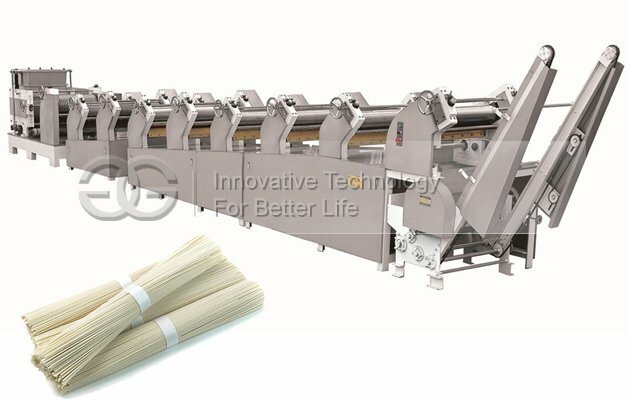 This production line is characterized by flow operation, high mechanization degree, good reliability, all closed production, no pollution, is ideal equipment for stable peanut butter production. 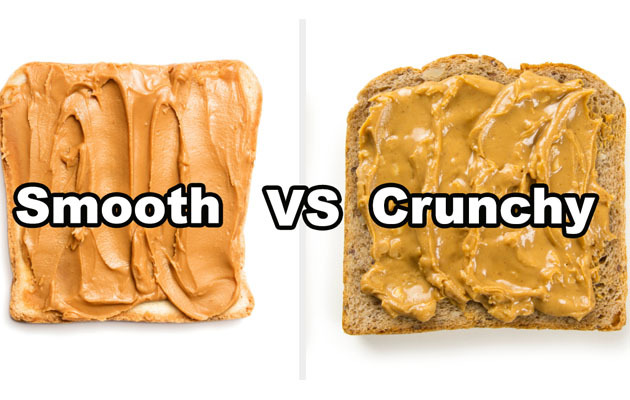 Peanut butter products are highly appreciated and welcomed by people, keeping its original, suitable for making condiment, high peanut protein content, rich in a variety of vitamins, apply to the needs of the fast pace of modern life. 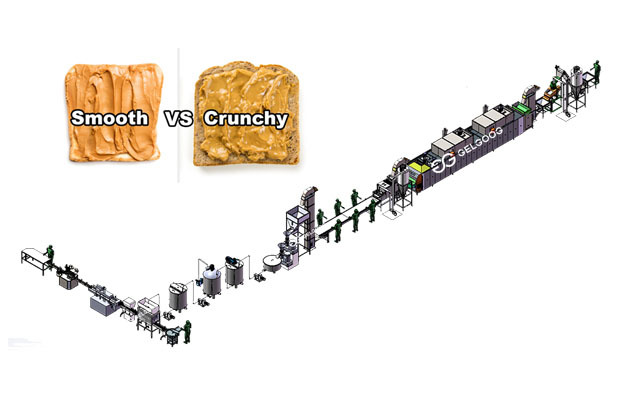 Peanut butter is high content of peanut processing industry science and technology in the food processing industry, the products favored by customers, wide prospect of market. This peanut butter production line mainly consists of peanut roasting machine, conveyor, peeling machine, selection belt, crushing roughing machine, mixing machine, fine peanut butter grinding machine, cooling machine, canning machine, etc. 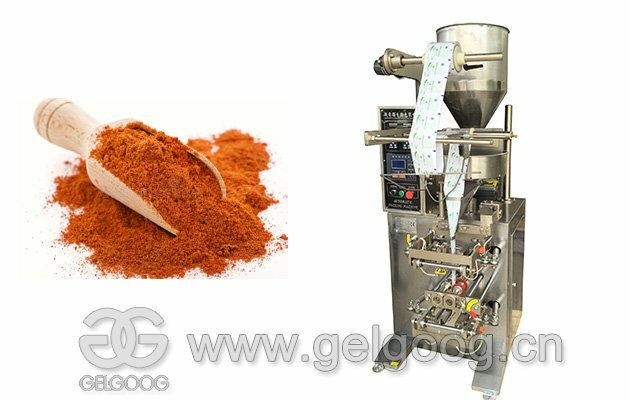 The device can produce natural peanut butter, stable peanut butter, smooth peanut butter, salty peanut butter, sweet peanut butter and other peanut butter. It can also produce sesame paste. 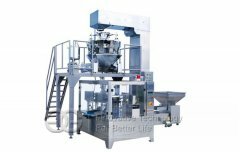 This industrial peanut butter production line can be customized according to the market demand, the core equipment of the complete production line - coarse grinding machines and fine grinding machines have been improved and optimized in a number of ways, and the processing fineness has been further improved. 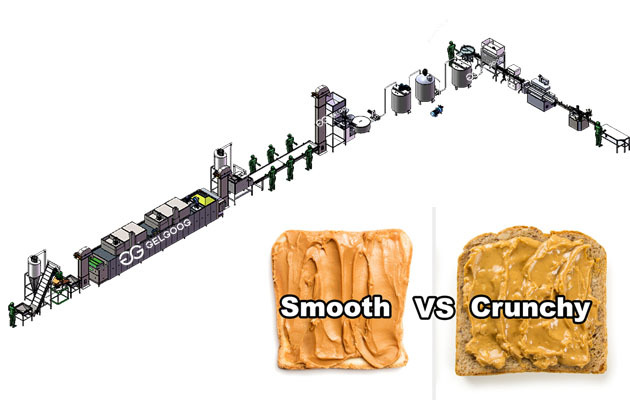 The complete peanut butter production line is highly mechanized, reliable and fully closed. It has the characteristics of simple operation, smooth operation, low noise, easy maintenance, corrosion resistance, wide use and wide variety. 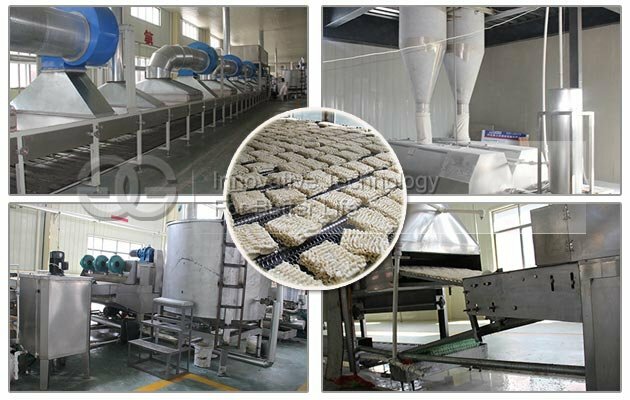 Raw material - Removing stone miscellaneous - Peanut baking -- Cooling -- Peeling -- Coarse grinding -- Peanut butter mixing -- Peanut butter fine grinding -- Cooling -- Degassing -- Peanut butter filling. 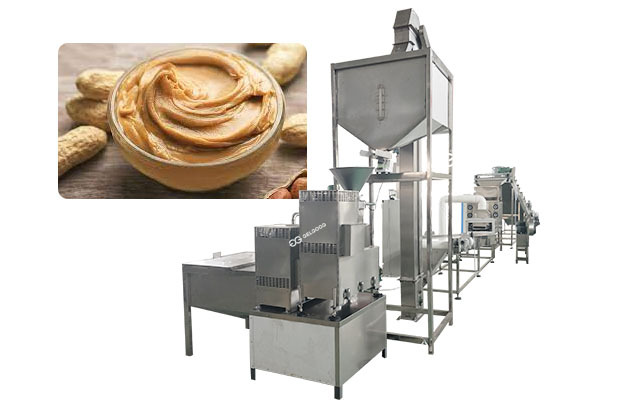 Complete industrial peanut butter production line is designed according to the customer's actual site measurement layout, realizing automatic production. Our company has many years of experience in cooperation with dozens of enterprises and production lines of large and small capacity. Our factory is able to make full use of the workshop space and strive to make the process more reasonable. 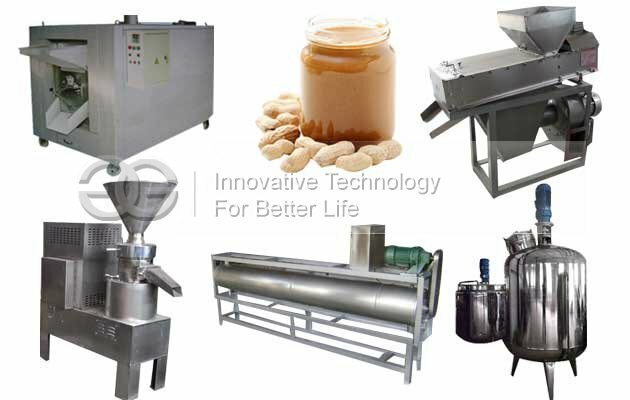 My company is specialized in research and development of peanut butter production line equipment, need all kinds of single available for one-stop shopping, also can according to your request design facilities. If you are new to peanut butter processing, we can also recommend social technical trainers to help you to the greatest extent if necessary. 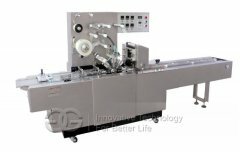 Yes, we can send you production line video, you can just leave your email or mobile number here. 2. 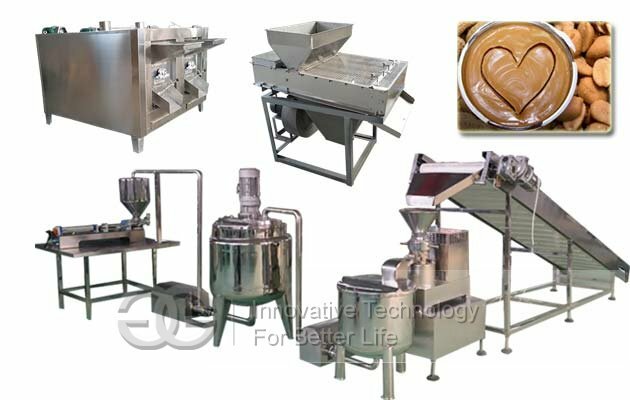 I want to make 200 kilograms peanut butter per hour, can you suggest suitable model? 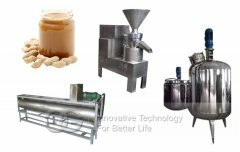 Of course, you can tell us the process flow you want to produce peanut butter, our engineer will give you suitable peanut butter processing project. 3. How much is the peanut butter production line? Some factors depends on the price, production capacity and processing technology. we make the price according to our comprehensive costing. And our price will be competitive becasue we consider of material cost, labor force, exchange fluctuations rade, economic situation etc. 4.Can you customize the voltage for me? Sure, just tell us the specific requirement, we can customize for you.